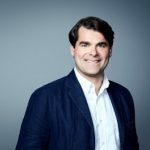 Alex Crumpler is a storytelling thought leader guiding a high-performing cross-functional team that builds best-in-class experiences across CNN‘s core news platform. Alex came to CNN from Sharecare in 2016, where he spent over five years growing the startup, steering the social media strategy and moving forward the company’s personalized digital health offerings. Prior to Sharecare, he held several media positions in the web video and content publishing spaces for HowStuffWorks.com. He has a decade of technology leadership in small and large companies and a passion for growing teams. How’s being a PM at CNN compared to startups in Silicon Valley? Does CNN have an Associate Product Manager program? It’s very very different. CNN is a big machine which has its unique challenges and opportunities. Similarly, the startup world has some cross over in terms of how problems are solved and frameworks for going after opportunities. At CNN, unfortunately, we don’t have an Associate Product Program… yet. We are growing as a Digital organization and I can see us having something like this in the near future. How do you select KPIs for a new product? We use an OKR framework at CNN. That’s Objectives and Key Results. The key results are informed by a combination of qualitative and quantitative data. Typical day… there is no typical day! 😜 We have some regular agile ceremonies like daily standups, but for the most part, I am working cross-functionally to ensure that our teams are focusing on the right things and getting data to inform where we should take the products. I would like to know your personal process of creating Roadmaps and if you have ever had to deal with “burning” deadlines, what is the best approach? At CNN, we create objective oriented roadmaps and not feature development roadmaps. The roadmap should be a high-level vision of where you are taking the product. If someone asks the deadline question, we usually respond with target timing. Development driven not date driven product development is a very successful roadmapping strategy. Have you ever lead the company to a transition from date driven to development driven product development? You are speaking to my heart, my friend. We are currently leading a digital transformation at CNN. It takes time but I’d say that you have to show the benefits of why development driven is better than date driven. Highlight where date driven has gone wrong. Show and amplify where development driven has succeeded. Said a little differently, correct the bad behavior and reward the correct behavior. How do you collaborate with designers? Designers at CNN digital have become more embedded into the delivery teams. I personally include my design lead in almost all conversations that I have whether cc’d, in a meeting as optional, or empower to lead a discussion. They are an integral part of the success of the product. I do not look at Design as a service, but instead as a partner. How important is Conversational UX to CNN? It’s a great space and an important one. Alexa Skills and audio products are part of our product offering mix and one we are looking to grow. There’s a lot of opportunity for passive consumption. Do you know any companies currently hiring? How firmly do you stick to your own intuition? I’d say intuition is a very small input. You really have to listen to what the quant and qual data is telling you. Can you share one or two surprising things that you spend a lot of time on? I find myself spending a lot of time trying to “unlock” people. Meaning, coaching and empowering them to be their best self and high-level contributor to the organization. What’s the most important experience that has best prepared you for your current role? I would say obtaining my Eagle Scout. It taught me that to get anything done of great significance, it takes a team. What are the most challenging areas for you in Product Management? What are the important hard/soft skills needed to become a successful PM? Let me back into this one. For hard skills, I would say be good or have a good sense of understanding data. For softer skills, be comfortable speaking in front of any and everyone. Know how to work cross-functionally and empower others around you. Are there any indispensable tools that you use in your daily PM activities? Specifically, any software tools or any methodologies? I am finding great value in using Mindmapping software. Specifically, MindMeister. This is an amazing tool for helping design pods around specific products (i.e. organizational design) and this tool is indispensable in capturing qualitative interviewing data. How do you keep yourself updated with the industry trends (e.g. best approaches to develop new products & manage teams)? Lots and lots of reading industry posts on platforms like Medium. 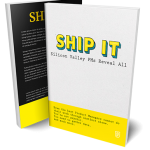 What is your favorite book on product management? What is your ideal product team? How many devs, product people, QAs, etc? An ideal product team has cross-functional representation from each function of your business. The answer for specific personnel is, it depends. Lots goes into that personnel footprint… the size of the product, the stage that it is in, etc. Generally, a good footprint I’ve seen is 3-5 Eng, 1 QA, 1 Design, 1 Delivery. What would be your two tips to aspiring Product Managers? Two, let the data point your strategic compass. What would be the best way to transition from Customer Success Manager to Product Manager? Think about the transferable skills that are involved in a customer success role and apply them to product. There’s a lot of benefits there. If you know your customers well, then you are already halfway there. The rest is a combination of strategy, cross-functional leadership, and relationship building. When a “senior” product person enters a new organization, what’s the best way to understand the business and people? Spend a lot of time talking to your new peers and colleagues across the firm. Spend time interviewing them to learn about their goals, challenges, and opportunities they see in their functional areas.